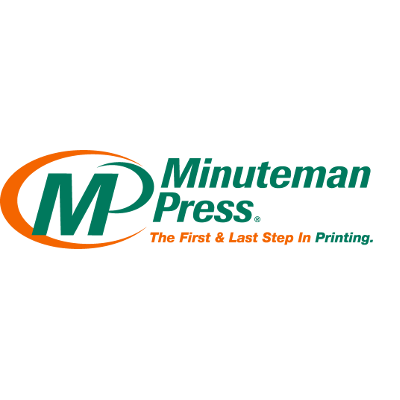 Minuteman Press has just celebrated its 37th Anniversary in New Rochelle NY. We were one of the first of almost 1000 franchise stores around the world. We have been providing high quality Printing and Copying to the Westchester County area including New Rochelle, Larchmont, Pelham, and Mt Vernon NY since 1975. Frank Miceli the owner has been there since its inception and has been offering a high quality product, on time delivery, and competitive reasonable prices since then. Frank has been very actively involved in the Sound shore BNI, New Rochelle Chamber of Commerce, The Boys and Girls Club, CYO, and the New Rochelle High School Football Parents AssociationAt Minuteman, we specialize in full color instant and commercial offset printing and now have the latest technology in digital copying. Our state of the art Xerox and Canon digital presses can turn around your job when you need it.In our graphic design department we use the latest software in quark express, adobe illustrator, in design, photoshop, acrobat, and more. We can utilize both a PC and Apple Mac file. We have complete bindery and finishing services including spiral, GBC , plastic comb and perfect binding. And don't forget to ask about our mailing and direct mail marketing capabilities.Some of our more popular printed products include: brochures to help promote your business or service professionally. Our business cards can be as simple as a one color, or full color, printed on coated stock on one or both sides. Our envelopes range from a small reply or remittance envelope or a more common window or letter size right on to a self seal accounting 10x13. Ordering flyers is simple and a great way to promote your business and get your company's name out there. We have social and business announcement invitations. Most company's use labels and we offer all shapes, sizes, and colors on rolls or in sheets. The many different paper samples we have, could enhance your letterhead and with our special process you can pass it right through most office copiers and laser printers. Whether it is internal or going to a customer base of your organization our newsletters will get the message across to all your readers who need a hard copy to take where ever they go. The USPS has new rules and regulations on mail deliveries, so we can fit your postcards to size and also mail it through their new EDDM (Every Door Direct Mail) service. And show your customers how professional you are by delivering them your quote or information in one of your professional presentation folders die cut to fit you business card . Call today for a free quote or request a quote online!